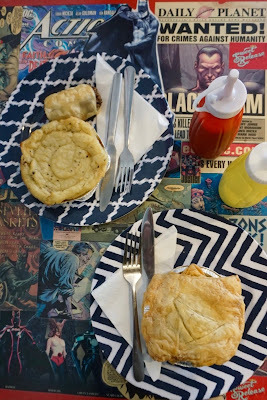 This is part two of my South Island vegan road trip. 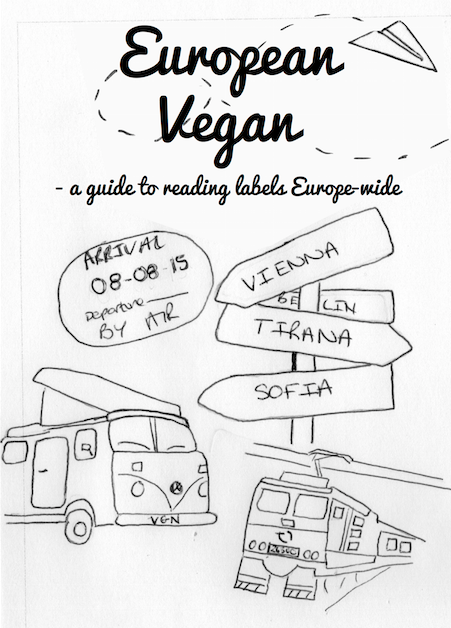 if you haven't read part one yet you can catch up here. After eating out quite a bit in Wanaka Nick and I cooked for ourselves most of the time in Queenstown. Accommodation was expensive and the hostel had a huge kitchen so it was a good way to even out our day to day costs. We made and ate veggie burgers, spaghetti with marinara sauce, tofu scrambles, and a lot of peanut butter toast. Simple easy meals that are perfect for busy hostel kitchens. 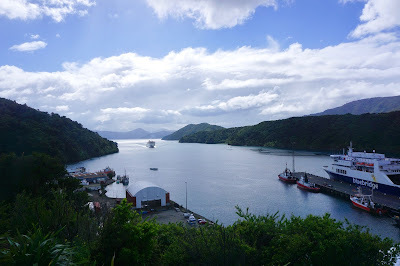 We contemplated taking a trip to Doubtful Sound, most people use Queenstown as a jumping off point for that trip, but we'd heard so many stories about the mist making it impossible to see and it's not a cheap day trip so we decided to skip it. We'll head to Iceland one day to check out fjords when we're not travelling on a backpacking budget! The one time we did eat out in Queenstown was when I spotted some pictures of Bespoke Kitchen's vegan breakfasts on Instagram. They looked amazing and I knew that we couldn't skip it so we went out for brunch on our last morning. We both ordered the pancakes and got a matcha latte and a green juice to share. We also couldn't resist grabbing a chocolate muffin topped with chia jam. We'd read rave reviews of the pancakes online and they certainly didn't disappoint. These were some high end pancakes, thick and fluffy and topped with all sorts of deliciousness including poached spiced apples, coconut whipped cream, raspberry chia jam, seeds, and freeze dried berries with a mini jug of maple syrup on the side. I could have done without the seeds (I hate seeds!) but once I moved them to one side these tasted just as good as they looked. When Nick and I arrived on the South Island we were both feeling a little lost, we hadn't had time to sit down and plan our South Island road trip at all and we had no idea where we were headed - just that we had a car and the freedom to go anywhere. The very first thing that we spotted as we were checking into our hostel was a flyer for tours of a peanut butter factory! That was clearly a sign and we were sold. 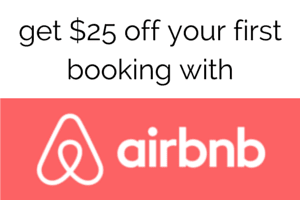 I was on the phone booking our spots in seconds. Coincidentally someone I knew from Brighton was in the area housesitting so we hooked up with her and her husband and headed to the Pic's factory in Nelson the very next day. Pic's are actually a super cool peanut butter company, the founder started making PB in a concrete mixer in his garage and selling it at farmer's markets and it's grown into a bit of a peanut butter empire with stockists all over New Zealand and a chunk of the rest of the world. Pic seems like a cool dude, he's all about employing local people and keeping the business local as it grows. Pic is blind and him and his lovely seeing eye dog made a great video about the cool PB journey he's been on. A couple of weeks ago I touched down in Phuket ready to eat my way around the Vegetarian Festival for the second time. 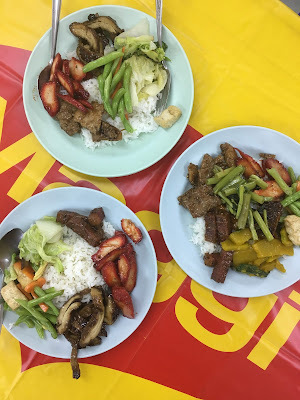 I was last there two years ago and I wrote a couple of pretty substantial posts about the festival food in Phuket and about the vegan eats you can find at convenience stores dotted all over the country. This years fest' was quieter and a lot more chilled (there were very minimal fireworks this time around and no large processions) because the country was still in mourning for the king so my blog post is going to be more laid back too. This year Nick and I met up with our friend Cici (read her post about the festival here) and did a whole lot of eating, drinking, and hanging out. 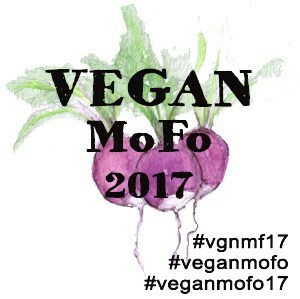 Like her I'm going to focus on my very favourite eats of 2017's festival rather than posting every single thing I ate because that might be a little overwhelming! Without further ado, here are my 2017 Phuket Vegetarian Festival Faves. About halfway up Ranong Road on the left (if you're coming from the roundabout) is a stall in front of a building on a corner which sells mock meats. If you've reached the turnoff towards Jui Tui Shrine you've gone too far. They have so many meats to choose from including three kinds of faux fish, my favourite. Inside the building they have even more faux meats as well as curries and veggies and you can eat there or takeaway. We decided to eat there one lunchtime and we were all very impressed. I just noticed that mine and Nick's plates are almost exactly the same! The range of mock meats you can choose from is almost overwhelming and I got three kinds. A black pepper steak, a saucy mock duck, and some red pork. They were all really flavourful and very different texturally. These are up there with the best mock meats I've ever eaten. The faux fishes were all excellent too; one had a great texture but it was really salty so you had to eat it with something else, rice or bread, to stop it being too much, another had a drier texture but the flavour was excellent and lastly, my very favourite of the three, was this yuba faux fish which had both the texture and flavour nailed. Wellington was our final stop on our North Island road trip and we made it there just in time for the Wellington Friday Night Market on Lower Cuba Street. It was a super busy and bustling market with a great atmosphere and I was more than a little surprised at just how many vegan options there were. Aside from In Bloom the 100% vegan stall selling burgers and raw cakes there were stalls slinging vegan dumplings, takoyaki, tacos, churros, and more. We started with dumplings from House of Dumplings and we chose two each because we knew we were going to do a lot of eating that evening. We went for one Spinach, Tofu, and Bok Choy dumpling each and then I grabbed a Japanese Six Mushroom dumpling whilst Nick opted for the special which was an Indian Dhal Coconut Cashew dumpling. Vicky who started House of Dumplings is from Hong Kong so these were legit and they made an excellent starter. If you have cooking facilities you can find House of Dumplings dumplings in supermarkets all over NZ but I don't know which ones sell the vegan versions. 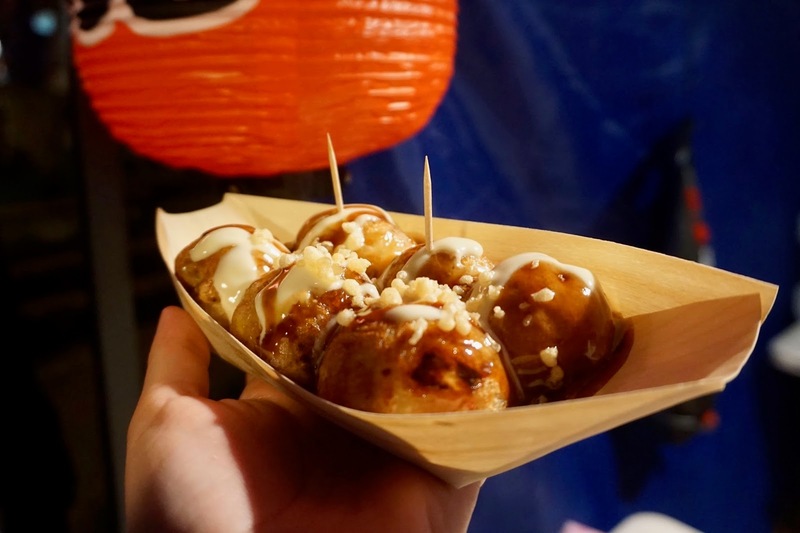 Next up was the Takoyaki stall, Gogo Takoyaki, and I don't mind admitting that we loved these so much that we got in line for them twice! I tried Takoyaki for the first time when I was living and volunteering in Japan. I found a Takoyaki pan at the volunteer house and set about finding a recipe and the ingredients to make them ASAP. I can safely say that these ones were about a hundred times better than the ones I made! They had the same konnyaku filling but these were actually round and had just the right level of crispiness on the outside without being at all raw in the middle. Making Takoyaki is definitely something that takes a little practice. Gogo seemed to be doing a roaring trade in their vegan option and the konnyaku filled balls were right up our street. I loved that they had vegan mayo and that they were keeping the vegan and non vegan things separate. 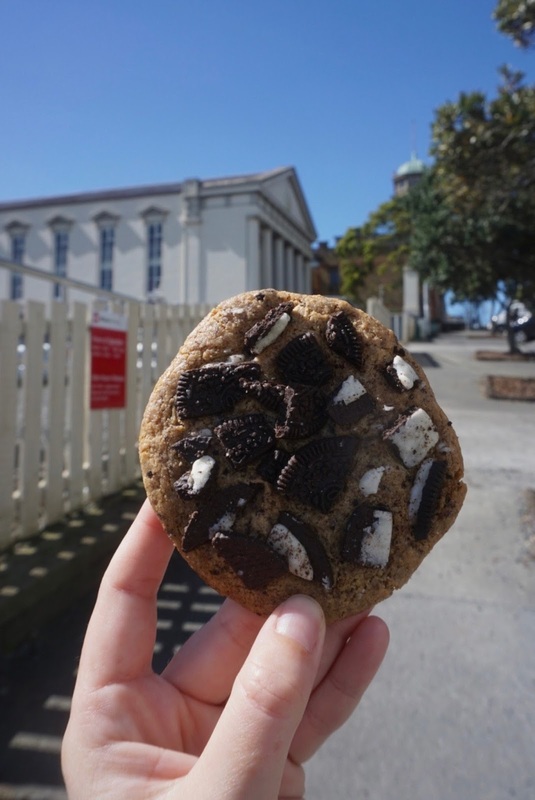 This market should definitely be on your must visit list for NZ, if you're lucky and time your trip right you could even be there for the monthly vegan night market Vegan Vault which takes place on the first Saturday of every month. I won't lie, I was a bit gutted that we missed out on that, but you should go for me and tell me all about it! 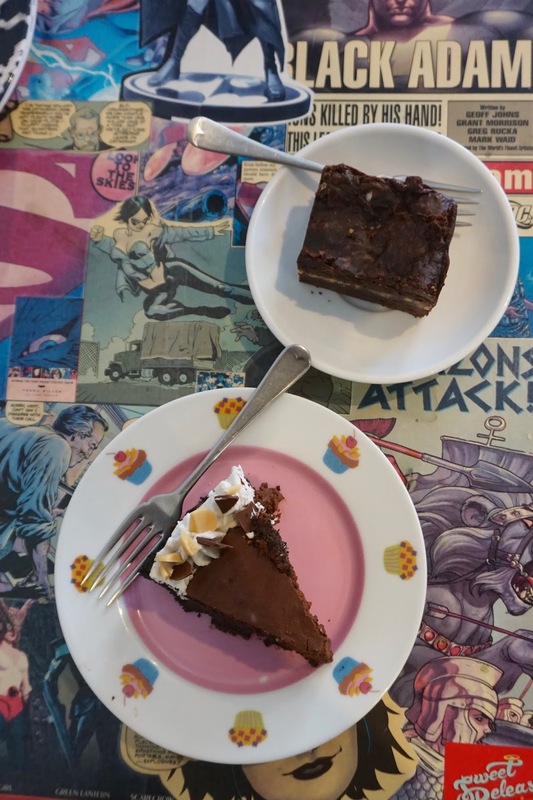 Our next eating adventure took place at Sweet Release Cakes and Treats because I'd heard that they make epic baked goods have pies on the menu. Sold! I ordered a Chicken Pot Pie because faux chicken is 100% my jam and Nick ordered some kinda potato topped pie. I wasn't really paying attention to his pie because I was too focussed on my amazing pie and his was gone before I could request a taste. The chicken pot pie was seriously so good, I'd been eating a lot of pies by this point in our Aus & NZ adventure and this was definitely one of the best. Far better than any vegan pie I've ever eaten in the UK. We couldn't skip dessert once we knew how good their food was so I stuck to the pie theme with a veganised version of a Hershey's pie whilst Nick opted for a PB Brownie. These were also completely delicious. I hadn't heard of the pie that this one was meant to be imitating but apparently it's kind of a big deal in NZ right now and I can see why. This chocolatey cookie crusted mousse filled and cream topped delight was, well, delightful. I wish I'd had space for a second slice. It seems that Sweet Release also make something called a Doof Doof which looks like a huge doughnut muffin hybrid. I didn't see any of those when we were there but please swing by and eat one for me if you're in the area. They look uh-mazing! 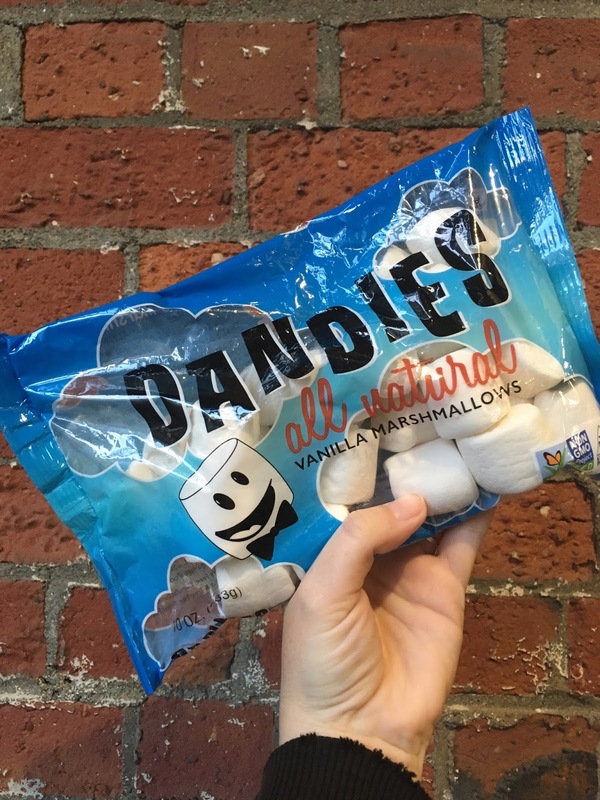 The YHA hostel we were staying at was around the corner from Commonsense Organics which is packed full of vegan goodies including faux meats, cheeses, and my very favourite treat, Dandies marshmallows. 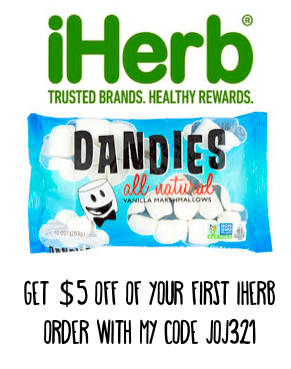 I usually order these from iHerb (Use my code JOJ321 for a discount on your first order) for a very reasonable price but that's not an option when you're on the move all the time and don't have an address. I'm happy to pay import prices for something this delicious though! Located a little way away from where we were staying Mara Restaurant in Newtown was another spot on my must-eat list. Thanks to Hitch Car Rentals we had a car to zoom around in so we headed there for dinner on our second night despite the fact that it was pouring with rain. The place was cute and I think that they're pretty new but unfortunately the menu wasn't great for me. The only thing that they could make me was the polenta dish topped with veggies but with no sauce, granted the eat in menu was small, around eight or nine dishes, but I didn't feel like they were really trying very hard to accommodate me and it wasn't exactly busy when we were there. The dish itself was okay, decent even, but it wasn't exactly exciting and I don't feel that I got to experience what their food is really like. Mara have some good reviews but I wasn't sold after this course. Dessert was where I was able to sample their food as it's meant to be eaten and I tried the Black Doris Plum and Beetroot Custard Tart with house made rose ice cream whilst Nick went for the Reincarnated Chocolate Three Ways which consisted of a chocolate brownie, chocolate mousse, and cookie ice cream. We were none the wiser about the whole reincarnated thing as the waitress told us that it was an inside joke that even she wasn't in on. This dessert was pretty good, I enjoyed the flavours of my dish when they were all together, the beetroot, rose, and plum compliment each other nicely but I would have liked more plums and the pastry definitely could have been better. Nick wasn't super impressed with his dessert but I enjoyed the mouthful I tried, the brownie was fudgey and the ice cream had a good flavour but I agreed with him that the texture of the ice cream was a little strange and that the mousse could have been airier. I can't decide whether I'd recommend this place or not, they're new and just getting on their feet so maybe they'll iron out some of the creases in time and for upscale food in NZ it was surprisingly affordable. It's definitely a date night kinda place and if you do try it out let me know what you think. 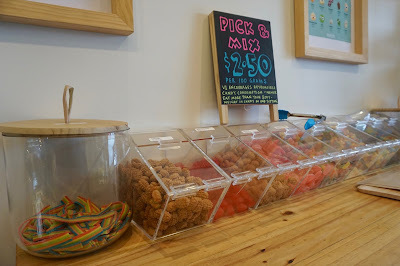 V1 Vegan Store is a Wellington must visit, the people running this place are so lovely so even if you don't need anything drop by and give them some love. You're sure to be impressed by their range of faux meats and cheeses, the line up of vegan pick 'n' mix, and their bulk nooch bin. They also have a little bakery counter selling cakes and cookies including the amazing cookies from Moustache in Auckland that I wrote about here. I loved them so much that I couldn't resist picking up a couple more. 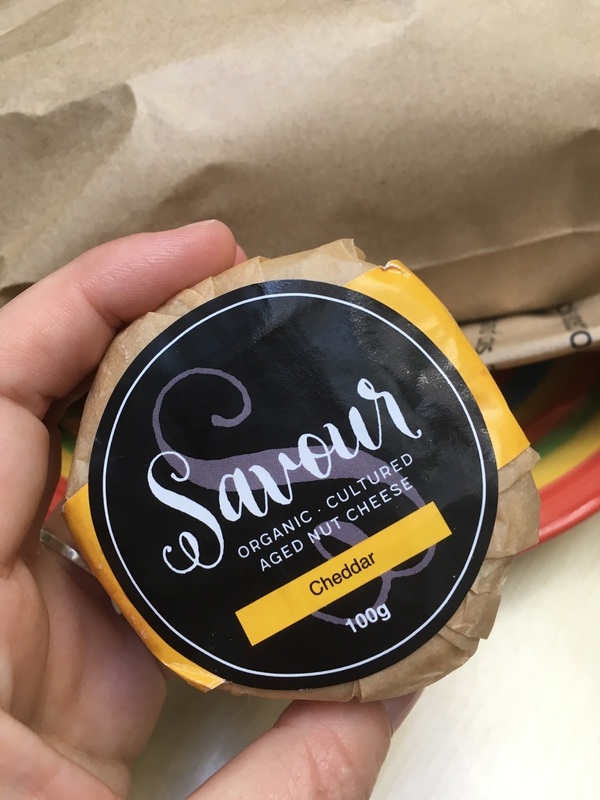 I also picked up some of Savour's organic cultured nut cheese in Cheddar. I was tempted by the beer infused cheese but I was pretty sure that Nick would hate it so I played it safe and I definitely wasn't disappointed. We managed to make this last two meals but I desperately wanted to eat it all in one go. Speaking of cheese Nick and I also grabbed pizza from a couple of spots around town, firstly from Cin Cin, a non vegan pizza place with vegan cheese and a vegan chocolatey dessert on the menu, and secondly a slice of veg covered pizza from Tommy Millions, a take out hut on Courtenay Place which we could see from the window of our Wakefield Street hostel. They're open until 4am and whilst they don't have vegan cheese yet their veggie toppings were very generous and the slices were huge. 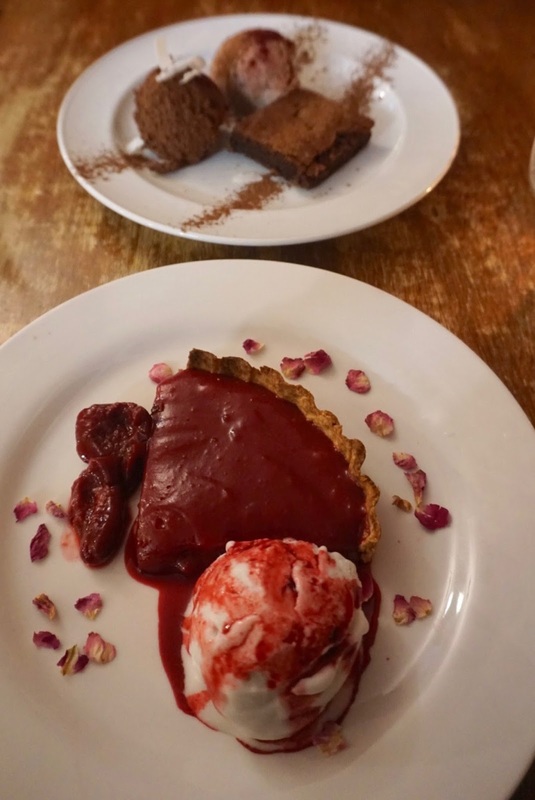 I was definitely impressed with the wide range of vegan options on offer in Wellington, we just kept stumbling upon things, and I would definitely suggest that you spend a few nights here if you're road tripping through NZ. 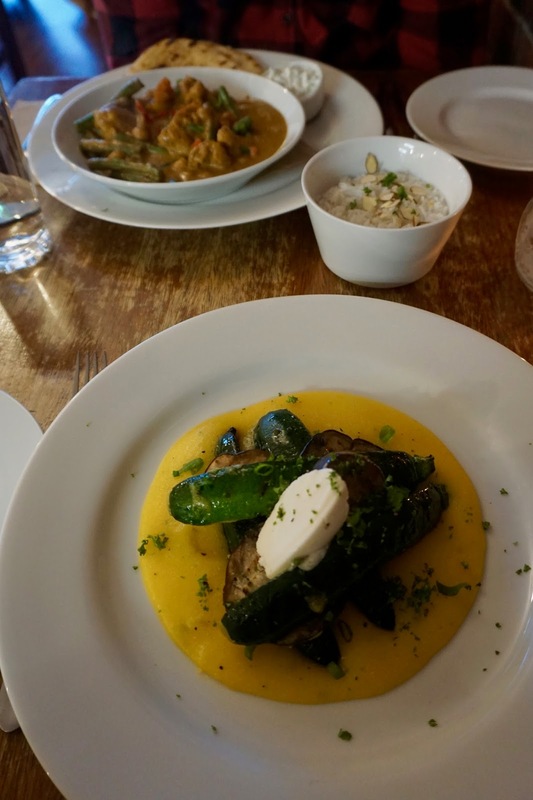 We were pretty food focussed during our time there and we spent one day hiding from some truly terrible weather but there are good museums and walks so there should be plenty to keep you occupied. If you missed parts one and two of our New Zealand adventure so far you can catch up here and here. This post was sponsored in part by Hitch Car Rentals. As always all words and opinions are my own. 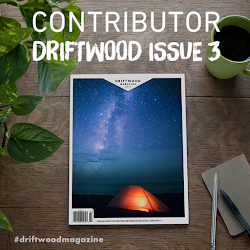 Posts like these help me to keep bringing you travel content from around the globe. When we were planning our travels from New Zealand to Thailand Nick and I certainly didn't intend to visit five countries in seven days but it happened. It was tiring and brilliant and I'd totally do it all over again. We flew from Christchurch to Sydney and spent 24 hours there. Next we flew from Sydney to Hong Kong where we spent one night before taking the metro over the border into China to check out Shenzhen. We were there for three nights before taking the metro back to Hong Kong, spending a night there, and then flying on to Phuket for Thailand's vegetarian festival. Phew. Shenzhen was on my original must-visit list for China but it didn't fit in with our plans as it's just too far south to be a sensible stop on a loop from Beijing to Shanghai. I couldn't stop thinking about how much I wanted to go though and when I realised that getting there from Hong Kong is really easy, you just take the metro, I was sold. 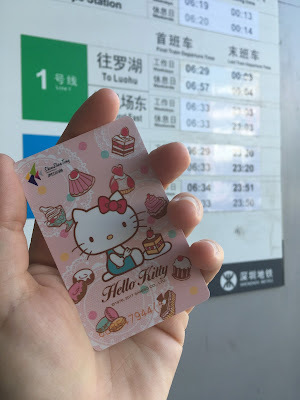 Okay, I made that sound a little too simple, you take the Hong Kong MTR to Lo Wu, walk across the border, go through HK and Chinese immigration, before hopping onto the Shenzhen metro at Luohu on the other side. Still, pretty simple as far as border crossings go but I'd be lying if I said that I wasn't tired of carrying my backpack when we arrived. We decided to stay by Laojie station in one of Shenzhen's major shopping destinations which is only two stops on the metro from Luohu so that final section was short and fast. As soon as we arrived we decided to get metro cards and I was very pleased to see that Shenzhen has the best metro cards anywhere in the world! Hello Kitty surrounded by desserts?! Yes please. Me and Nick both chose this one despite the lady selling them trying to push some kinda Transformers card on Nick. Our first stop in any new place usually involves food and this trip was no exception. We arrived hungry and went straight to the nearest veggie spot on the Happy Cow app. Windlucky is located on the 4th floor of a food mall and the easiest way to find it is to go in the door between McDonald's and Watson's and to go straight up those escalators. Nick and I started our New Zealand road trip in the North Island and the first thing on our agenda was picking up our rental car from Hitch Car Rentals. This was a super straightforward process and we were whizzing all over the place in our Budget Hitch in no time. New Zealand is definitely a destination where you'll want your own wheels, even major cities like Auckland are challenging to navigate on public transport and they're sprawling so not everywhere you want to visit will be walkable. A prime example of this is Tart Bakery which was our very first road trip destination. I wrote a whole blog post about them here because they're really that good so check it out. Our second stop was Moustache a super hipster cookie shop located on K Road. I was a little dubious about their vegan options as two of the three are gluten free but I bravely forged ahead and ordered one of each flavour. These cookies seriously exceeded my admittedly low expectations and reminded me that I need to step up my XGFX baking game. I've eaten some epic gluten free baked goods in the past but I've also eaten a whole bunch of awful gf "treats" that would put people off of veganism altogether.